In response to member requests we introduced a new Super Sprint Series last season and it proved to be hugely popular. This weekend we kick off the season 2016 | 2017 version of the Series and we also have a Come & Tri happening. This will enable those wishing to "try a tri" to experience the swim, bike, run buzz and we hope they will then join our club and take advantage of the many opportunities to participate in the varied formats on our jam packed calendar. We are sure you will again make our Come & Tri participants very welcome on Sunday and encourage them out on course! 1. Our RD Alan is carrying a shoulder injury so we ask our members to please pitch in and help with set up and pack away tasks this weekend. We know many of you already do that, but it would be great if you could all check with Alan & see if he needs any extra help eg putting the trailer away. 2. Roads are open for this event so please observe all road rules including stopping if traffic lights are RED. 1. Our first junior event for 2016 | 2017 will take place at Lake Alexander on Saturday 17 Sept 16 at 7:30am (register by 7:15am). 3. For the younger juniors (5-9 yrs) we will have some fun and games practising transitions and some new equipment to test out, so some fun mini courses will be set and then we will finish with a mini-duathlon. 4. The 10+ course set up will be 1km run | 6km bike | 500m run and parents are welcome to nominate the distance their child does eg the bike laps will be 1.5km loops so you may choose for your child to do 1, 2, 3 or 4 laps. 5. Although there is no swim, still be prepared for the kids to get a bit wet. 6. If you haven't yet completed membership for your child for season 2016 | 2017 we encourage you to do so online here. 1. A big thank you to those members who did bike count on Super Tuesday. 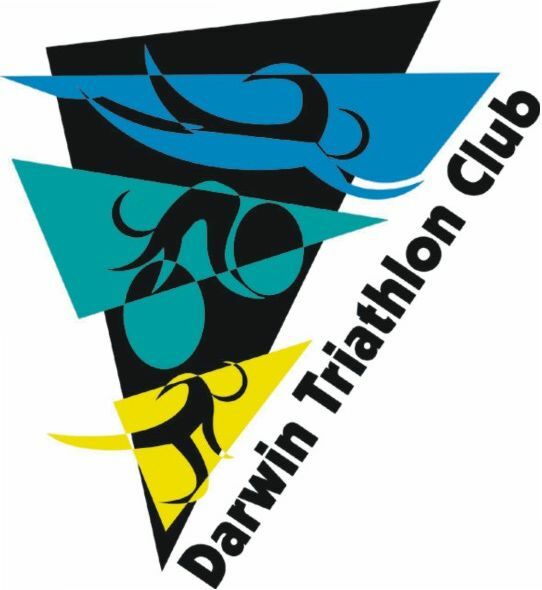 So that we can keep track of invoices, please let us know if you were one of the awesome counters who nominated Darwin Triathlon Club. 2. Hearing there were a number of our members among the medal winners at the Swimming NT Open Water Swim championships including - 1.2km: Dan Holmes 2nd M30+; Angela Librio 1st F30+; 2.5km Kate Bell 1st F30+ and 5km Sue Gostynski 1st F30+. Well done! 3. We have Kimberlie Baldwin and Jamie Baldwin heading over to Cozumel, Mexico to compete in ITU Age Group Sprint World Championships (their event - Thurs 15 September 16). Jamie & Kim will be making tri history as it will be the first time the distance has been draft legal for age group competitors. We wish them both good luck in their respective categories. Wish them luck if you see them before departure! 6. Feeling for Hannah Johnston who was unable to compete at Ironman 70.3 World C'ships after injuring her back lifting her bike out of the car for check in. 7. Sending our best wishes to former member Katie Kelly and her guide Michellie Jones, who compete in the Rio Paralympics Triathlon on Sun 11 Sept 16. Go KK & MJ! 8. The men's triathlon at the Paralympics takes place on Saturday 10th. 9. Triathlon NT advise there will be a Level One Technical Officials course in Alice Springs on Wed 12 Oct 16. This is the day before the Masters Games Duathlon (Thurs 13 Oct) where newly qualified TO's can complete their Field of Play assessments. Anyone keen to attend and do the course please email eo@nt.triathlon.org.au - there may be some funding to assist with travel costs for those registering interest early.